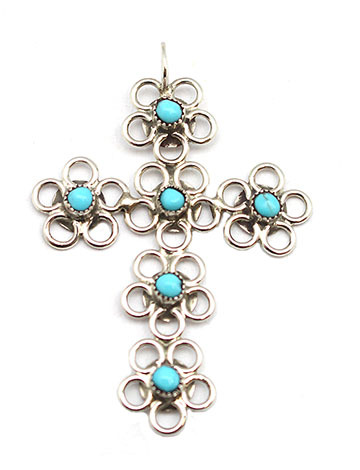 This sterling silver cross pendant is made with 6 open ring flowers that have a dot turquoise stone in the center of each flower. It measures approximately 1 3/4" long including bail by 1 1/4" wide. Handmade by Zuni artisan Alina Bowannie.